So I have been hearing so much about this Nutribullet lately, that I just had to learn a bit more about it myself! This little gem is supposedly meant to better help you access the hidden nutrients inside the foods you eat by working to extract them versus simply just blending or juicing. Some of the recipes on their site look absolutely amazing, and it is most certainly leaving me wanting one for myself! One of you may just be that lucky! As this latest giveaway features not only one of these superfood fixin' machines, but on top of that a $30 dollar gift card to Target to buy some fun foods to try out with it (or maybe even a new outfit to fit with your fab, healthy lifestyle)! 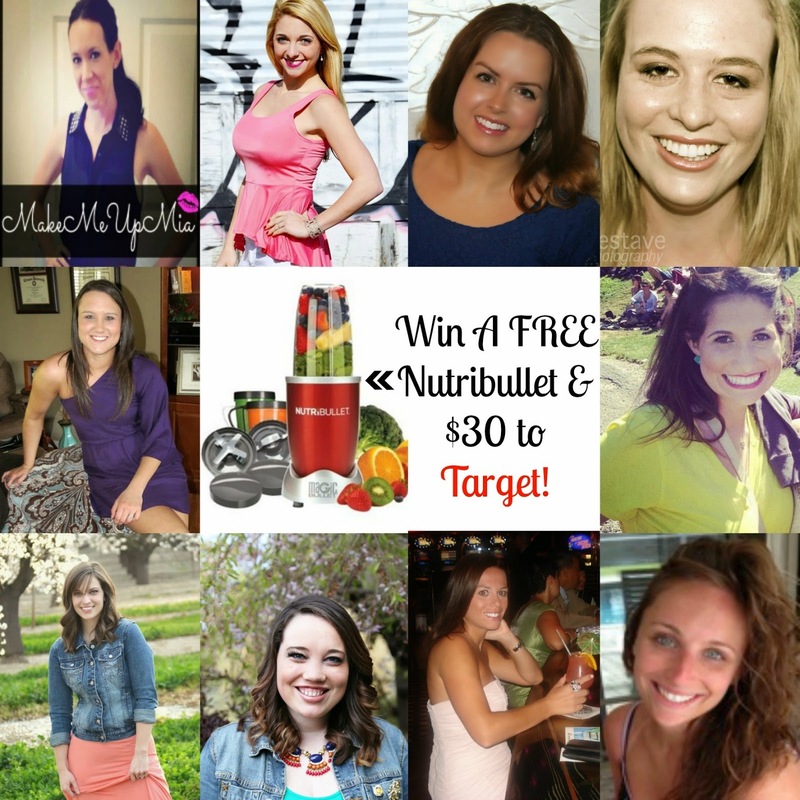 Check out some of these other amazing blog hosts and enter away below! And you even have a variety color options to chose from! Are you imagining which would look best in your kitchen? The giveaway runs through May 2. Hi! My kitchen is red & green so I would choose the green one. Thank-you! I love the green one. I keep looking at these at the store...but keep putting off buying one. i would love to win one. Green! Thanks for the giveaway! I would choose the black one (: It would go perfect in my kitchen! (: my email is perezashley60@hotmail.com . I'd choose the red one! Thanks for the giveaway! I think I would have to go with the silver-ish one since I still haven't decided on a color scheme for my kitchen! See above in the rafflecopter for the name of the winner! Thanks for entering!